Los Angeles limo and shuttle accidents happen with more frequency than other areas with less of these types of vehicles on the road. Innocent travelers who entrust their safety and well-being to transportation companies expect a properly maintained vehicle and that their driver will provide safe, professional service. Too often, sightseeing trips and special occasions are ruined by careless drivers and negligent shuttle operators who fail to act in a responsible and prudent manner. Anyone who provides transportation services to the public has a duty to transport passengers safely and exercise the highest level of care. These transportation companies are called common carriers, and special rules apply to them. When common carriers fail to use the highest level of care, they can be held responsible for their negligence in court. Traditional liability standards dictate that an attorney must prove several things to recover compensation on behalf of an injury victim. You must prove that the driver or tour company had a duty to use the utmost care when transporting passengers. You must prove that this duty was breached because the company didn’t maintain the vehicle, didn’t train the driver, hired a contractor with a history of safety violations or was negligent for some other reason. You must demonstrate that the breach was the direct cause of your injuries. Finally, you need to prove that you have suffered actual damages from your injury. This will entitle you to recover compensation for medical expenses, lost wages, emotional distress and permanent disabilities. Safety regulations are in place to protect consumers who accept services from common carriers in Los Angeles and across the state. However, these rules aren’t always consistent. Not too long ago, five people from San Francisco died because they were trapped in a modified Lincoln Town Car that caught on fire during a bachelorette party. A mechanical issue sparked the blaze. Fire extinguishers weren’t available, and there was no way for passengers to exit the car. In this case, California laws didn’t require routine safety inspections because the vehicle was designed to transport less than 10 people. Larger buses and vans must be inspected every 13 months. Fortunately, accidents like this have prompted lawmakers to advocate uniform safety requirements. All motor carriers, drivers and third-party operators can be held responsible for their negligence if a passenger is injured or killed while in their care. Frequently, violations relate to one or more of these issues. 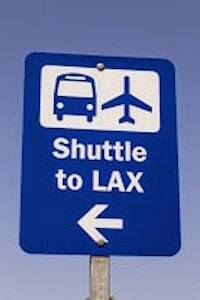 In large cities like Los Angeles, limo and shuttle collisions are quite common. Recently, the track record of the celebrity sightseeing company Starline Tours was called into question. First, the company was sued by a female passenger who suffered head and eye injuries when she stood up in the company’s open-top double-decker bus. She said no one told her not to stand up during the tour and that her injuries wouldn’t have happened if she had been informed of the risk. Shortly after that incident, a 16-year-old tourist died during one of the company’s tours. He was dancing on a seat and struck a highway sign that was mounted on a freeway overpass. This tragedy could have been prevented if the company had adequate safety measures in place. Transportation companies should be held liable for their negligence anytime they have created a defect or breached safety regulations. A personal injury attorney only needs to prove that the company was aware of the problem or that they would have been aware of the problem if they had used the highest level of care. In cases where a taxi or bus is hit by another car or truck, multiple parties might be liable for your injuries and losses based on the principle of contributory negligence. If you were injured in an accident caused by a negligent driver or bus company, contact a California accident attorney today to discuss your case. You deserve compensation for your injuries and losses. Call our toll free hotline at 866-966-5240 or anywhere in Los Angeles at 323-944-0993.